Come and visit Downtown Main Street Stanford and see what the merchants are sharing this Christmas Season! 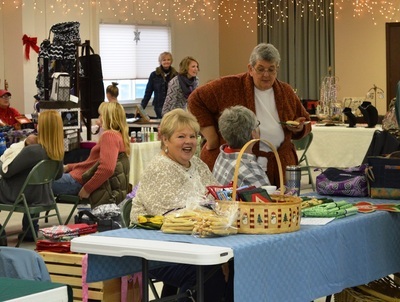 ​Many quality crafted items made from individuals throughout the area will be available for purchasing from 10:00 a.m. - 3:00 p.m. at the Stanford City Hall. 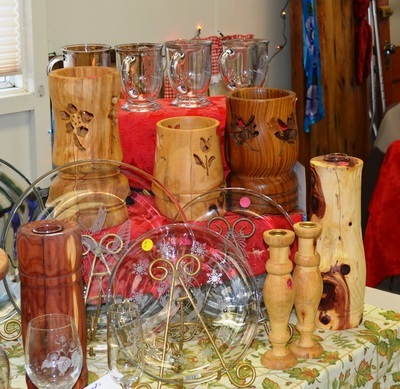 With over 28 vendors available for the "Christmas Craft Show", area artists will also have their works of art on display for gift giving as well. The Stanford Community Carolers will get underway at 2:00 p.m.
​Save room for some chow too as there will be chili and baked goods being served at the Stanford City Hall by the Stanford Ambulance Crew. 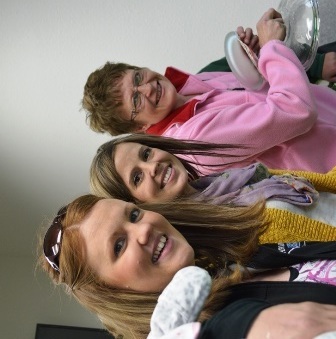 Make sure to stop by and visit the CMR Stampede members with their delicious treats as well near the Stockman Bank! 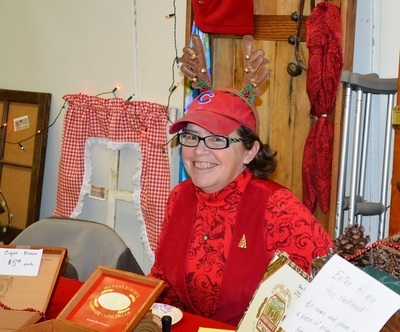 10:00AM-3:00PM : Christmas Craft Show at the Stanford City Hall. 10:00AM-5:00PM : Local businesses throughout town will have plenty of treats on hand during the day. 1:00PM-2:30PM : Santa Claus arrives in town and will be at Dauna's Deli. 5:00ishPM-8:00PM : Christmas Wreath Auction at the Waterhole Saloon. 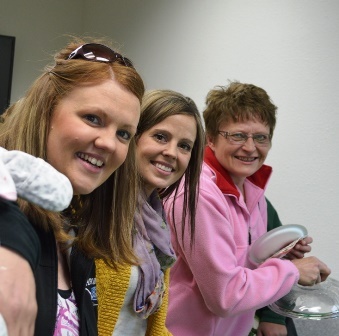 For more views of photos taken during these events, please visit the Russell Country Facebook Page and Photo Galleries. ​Now through December 1, 2018 :: This program is intended for Judith Basin County families that need extra help during the Holiday Season. 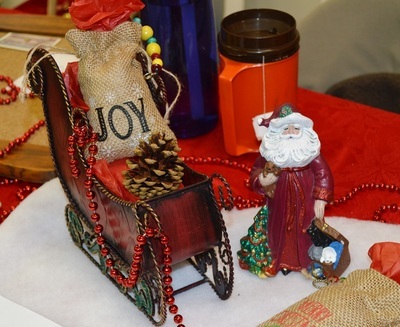 If your family is in need of assistance this year, Operation Santa applications are available in all Judith Basin County Post Offices and Schools. The deadline is Dec. 1st. With over 28 vendors available for the Christmas Craft Show, many crafted items and products will be available from local area vendors and artists will also have their items on display - many gift giving ideas to choose from! For more information or if you would like to book table space at the Christmas Craft Show, register below or you can contact Sue Caldwell at 406-366-6885. Table Space Rental is $20.00. ​Santa Claus is Coming to Town! Santa Claus will be in Stanford during the Christmas Stroll. Santa will be arriving on the Big Red Fire Truck (weather permitting) and he will be at the Dauna's Deli from 1:00PM - 2:30PM with treats for all ages! This event is sponsored by the Judith Basin Chamber of Commerce. 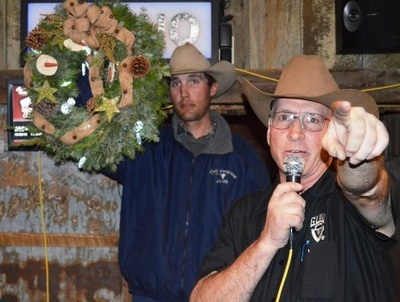 The annual Wreath Auction will get underway at 5'ish p.m. and will be held at the Waterhole Saloon. The variety and selection of fresh wreaths are made and donated by many individuals throughout the County. Proceeds from the Wreath Auction will benefit Beautification Projects in Stanford. For more information or if you would like to donate a wreath for the auction, please contact Tess Brady at 406-566-2633.